Want to up your selfie game? Have a look at the best selfie phones! Selfies are the new ‘in’ thing which are trending since a couple of years. Earlier, even the best of the phones was packed only with a primary back camera. But with selfie craze trending, front cameras came into the picture, and within no time, every Smartphone brand launched their latest device with best of front cameras. For a classic selfie, the device must get the best camera that can offer an effective resolution. There are some devices in the market that can help the user to have a quality resolution. For the selfie, the front camera needs to be of high-quality. Those who love to have quality images and selfies must check some of the best of the quality devices in the market. The budget and other features must also be taken into account while choosing a device. There are some of the famous brands that offer a device with anamazing camera. This latest device from the house of Nokia offers an 8 MP front camera which enables in clicking amazing selfies. However, the device does not offer front flash. Among the other features, one can find a whopping 16MP rear camera with dual tone LED flash and a 3000 mAh non-removable battery. From the performance aspect, the device is packed with 1.4 GHz processor along with Snapdragon 430 chipset and an average 3GB RAM. It is available with 5.5 inches IPS LCD full HD display with 401 pixels per inch. One can buy Nokia 6 at Rs.14999. The famous brand has this device in the medium price range, and it is also known for its effective front camera quality. Xiaomi is one the remarkable brands which is offering finest of phones since it launched in India. Xiaomi is also one of the brands that offer amazing camera especially selfie camera. The Redmi note 5 is packed with 8 MP front camera which is best in class. Among the other features, one can find 16 MP rear camera with dual tone LED flash. It offers a powerful battery with 4000 mAh which is known for quick charging. Look wise the device flaunts an average 5.5 IPS LCD full HD display with 401 ppl. Performance wise the device is equipped with Octa core 1.8 GHz, Quad core + 1.4 GHz, Quad core processor along with Snapdragon 625 chipset and a decent 4GB RAM.The device can be bought at Rs.12990. It is one more device from the Chinese giant that offers an amazing front camera for the selfie lovers. The brand has many other models also that can be checked before buying any other device than that of this brand. If you have a slightly high budget, Nokia Edge is the selfie device for you! The phone offers a whopping 13MP front camera which is best in class. It comes with an amazing 23MP rear camera with LED flash. However, the display and battery is average for Nokia Edge. It has got the screen with 5.2 inches and IPS full HD screen along with an average 3600 mAh battery. Performance wise the device is equipped with an Octa core 2GHz processor along with MediaTek MT6755 chipset and a 3GB RAM. You can own the device at Rs.19990. The device falls into the higher medium price segment, and hence one can get a quality device with a stunning resolution of front camera that can be much useful in capturing quality selfies. OnePlus 5 was one of the most coveted phones of the year, and it has stood true to all the expectations around it. This model is also known as one of the best selfie phones as it offers a 16MP front camera which enables in clicking amazing selfies and capturing HD videos. The device comes with a more amazing primary camera with 16MP +20 MP. It is packed with 3300 mAh battery along with 5.5.-inch optic AMOLED full HD screen. Performance wise the device is packed with Octa-core 2.45 GHz, Quad core + 1.9 GHz, Quad core. It offers an amazing 8GB RAM which is best in class. The device can be bought at Rs. 37999. This quality device is known for its camera features. However, the device falls into the premium category, and hence one needs to check the same with other devices in the same range also. The Samsung Galaxy J7 Max is yet another device of 2017 which offers an amazing camera. The device is packed with 13MP primary and front camera. The 13MP front camera is commendable at the given price range. Performance wise the device is packed with Octa Core 1.6 GHz processor and MediaTek MT6757 chipset along with a 4GB RAM. Display wise the device wins with a 5.7-inch IPS LCD full HD camera with 386 ppi which is average in the segment. The device is powered by a fairly good battery with 3300 mAh. The device can be bought at Rs.17890. It is a device that falls into the category of medium price, and hence in this category, one can hardly get any better device that can have quality selfies. Vivo is yet another device with an impeccable front camera. The device comes with a 20MP front camera. This is one of the rare devices where the front camera is more powerful than the rear one. It has got a 13MP primary camera with LED flash. It flaunts 5.5-inch IPS LCD HD screen with 267 ppl. It comes with 3000 mAh battery and 4GB RAM along with Oct acre 1.5 GHz processor and MediaTek MT6750. 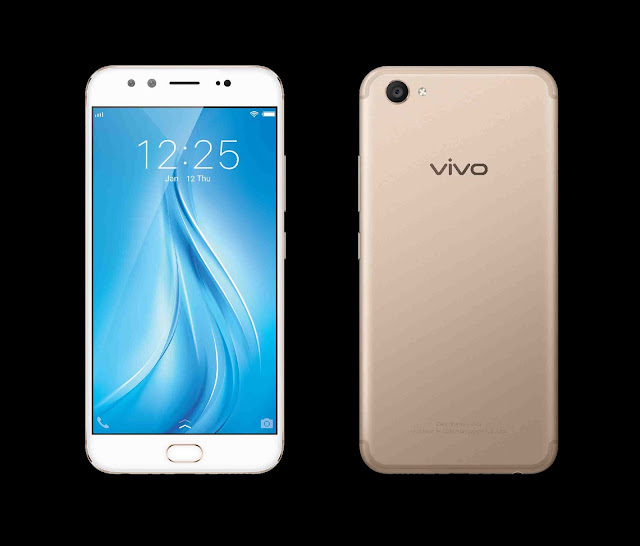 Vivo V5 can be bought at Rs.15499. It is also one more effective device known for its quality selfies. These are some of the devices from known brands available in the market that can be opted by a user who loves to have quality selfies.